Unconcerned with the recent low ratings of "Bullet Brain" and "Beauty At War", actor Bobby Au Yeung believed that his new drama's simple plot and his shallow acting will not confuse audiences. Jayne Stars reported that the "Ever And Always" actor was recently quoted saying, "Who hasn't experienced high and low viewership ratings? It's impossible to have viewers love all the dramas. My earlier drama with Raymond Lam, "Men Of No Shadows" also experienced such a situation, as viewers decided not to continue because they didn't understand the concept of the devil and hypnosis." The actor continued to state that viewers have very unpredictable tastes, "When a drama lacks creativity, they say it's boring. When a new type of drama is produced, they don't accept it. Right now the audience wants to watch dramas without using their brains, which is why "Come Home Love" is so popular. Even if you skip a few episodes, you'll still understand it. I like watching it too." 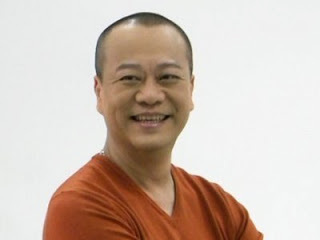 However, Bobby admitted that he admires people like Sheren Tang who can memorize difficult scripts, stating that he is not the kind of actor who can do so. "Palace dramas contain difficult dialogue, and I can't do those. When I filmed for "Forensic Heroes" a long time ago, we used videotapes and I had constant outtakes. The producer had to prepare a lot of videotapes for me." Meanwhile, the actor, who was hospitalised for acute pneumonia in February, was seen eating fried fritters during an advertisement shoot. When asked about his health, Bobby replied, "My cholesterol and blood sugar levels are all normal. I recently had my lungs checked, and the doctor congratulated me because I've fully recovered!"